Staying for a while or just a quick visit? If you would like to be notified about major updates to this site, including new videos, follow me on Twitter by clicking on the button on the left. "The Journey" A picture and word story of two platters, two stories and Dufferin Child and Family Services. "History in the Making" There are still some pieces left from the show at Hopson Grace (HG) in 2016. For contact info for HG, please click here. 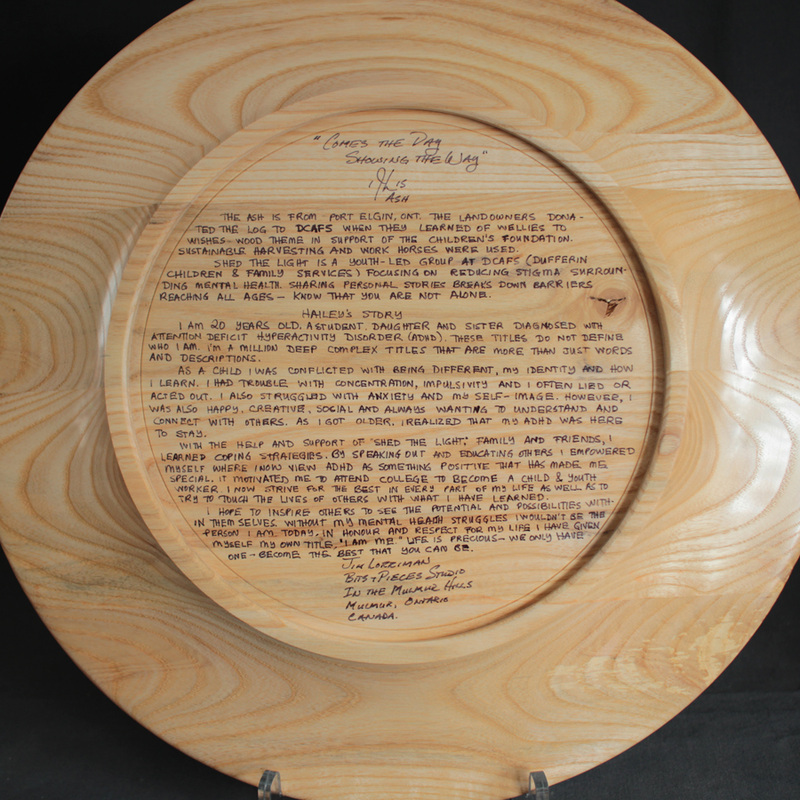 "When a Tree Speaks" The show at the Canadian Guild of Craft in Montreal has ended. However, the website for the show is still up and can be viewed here. Salad Bowls make great wedding gifts! Jim makes bowls in different styles and sizes. Chargers, designed to go under a 10" dinner plate, can be used individually and make a welcome house gift when you are travelling. Need something for a special occasion? Are you a discerning collector? Stick Vases may be just what you are looking for. You have wood that has sentimental value to you and you want something made from it. A visit to the Custom Made page will answer some of your questions and get you started. Interested in seeing what else Jim is doing?Perhaps you would like to attend an opening or visit a show where Jim is participating. Go to Upcoming Events to get all the details. 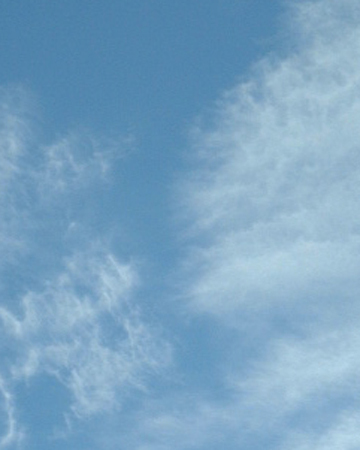 Up in the air? No time to order? No time to customize? Need something fast? Contact Hopson Grace. They have a large selection of Jim's pieces, provide excellent service and offer free shipping in Canada and the U.S.
All of Jim's pieces are low-maintenance. Find out how to care for your turning. 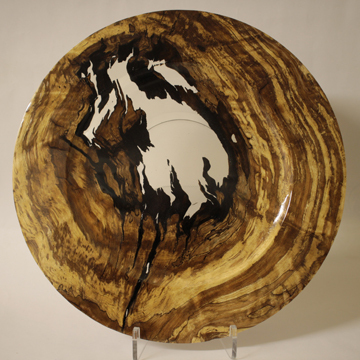 Curious about how Jim's bowls, vases and platters are made? 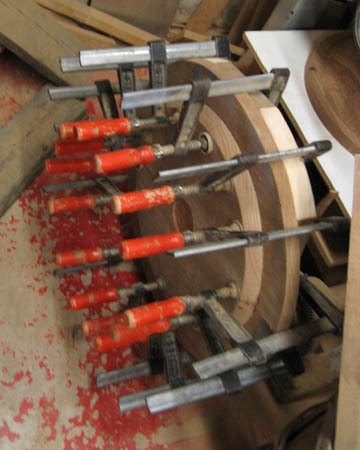 Are you a wood worker or turner who wants to learn more? The Methods of Work section is a must for you. Jim is now posting Tips, Tricks and Techniques in his Blog. Do you have a question? Contact Jim by email or by phone. 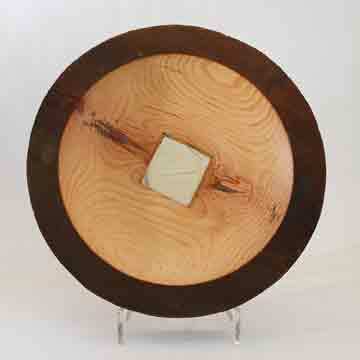 Jim Lorriman is a full time professional Canadian wood turner living in Ontario, Canada. He makes his home in the Mulmur Hills near Terra Nova. He has recently moved (summer of 2017) and his studio is no longer at his home. He is now working 5 days a week in his new studio near the north end of Mulmur. To contact him, use the form here. Mobile phone connections are spotty at his studio so the best way to get in touch is through the form above. He responds to all emails. If you wish to commission work or purchase a piece, please contact his representatives at Hopson Grace. 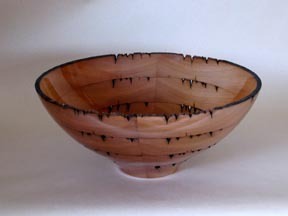 Jim makes a wide range of pieces from highly functional salad bowls to the purely visual. 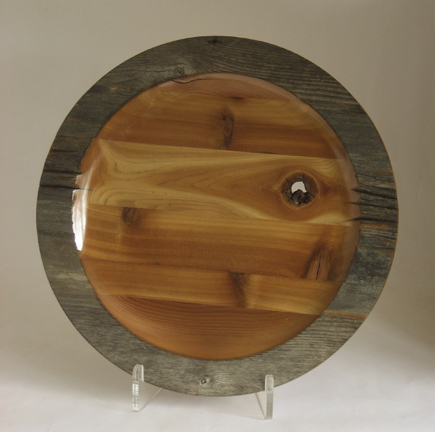 His method of construction makes recycling a natural - from his cedar dock wood chargers and bowls to historical turnings made with wood from old buildings or from the bottom of Georgian Bay. Jim's sentimental pieces are usually made from recycled wood but not always. Many of his customers bring their own wood to him - wood that has memories for them or is a part of their family history. He transforms their wood into beautiful turned work which is then put in prominent places in their homes. Buying a wedding gift is one thing but having it personalized is another. Jim offers this to all who order or purchase work from his studio. Many of his pieces have a story to them and he puts a synopsis on the bottom of each one.